Avda De La Huerta 2, 46120 Alboraya, Spanje. 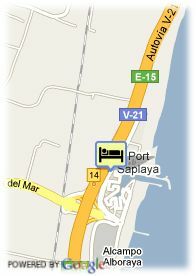 Hotel Aptos Port Saplaya is a charming apartments near Valencia. These apartments by the beach form a picturesque sea villa at the Mediterranean shores where guests can enjoy a pleasant stay any time of year. They are equipped with all required facilities to guarantee a comfortable stay. The interiors emanate the intimacy and tranquillity of the area while offering the services required on a first class tourist destination. At just 4,5 kilometres from Valencia city. 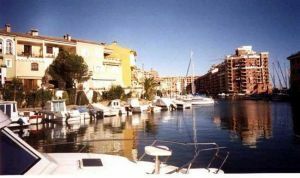 The housing estate in which they are placed has car park, shops and restaurants under the conditions and timetables established by the residents´ association.